How Does Gluten Intolerance Affect Your Fertility? “I had a wonderful experience working with Sarah. She was professional, but personable. I felt comfortable sharing all kinds of personal details with her because she listened and analyzed without judgment. She was kind and nurturing, but didn’t sugar-coat the facts and held me accountable to make the changes if I wanted to see results. She whole-heartedly wants to help women with their health. My husband and I were ready to start a family and the first step I had to take was to go off birth control and go off of an anti-anxiety/anti-depressant medication that I had been on for over 8 years. In the process of coming off both medications, I was struggling deeply with depression and anxiety. I was desperate for help and willing to try anything that might improve my ill mental state. I reached out to Sarah in hopes that she could help me balance the “brain chemicals” (aka hormones) and it was an added plus that she specialized in helping women get pregnant because ultimately, that was our goal. Sarah didn’t give us a “one size fits all” program to follow. Rather, after conducting an entire intake of our lifestyle and goals, she created a completely personalized program for us. She recommended changes that were realistic and if something didn’t work for us, she gave us other options to try. She told us what was most important and gave us priorities, so we could focus on a few things at a time, instead of changing everything all at once. We made a lot of changes in the first month – we cut out certain foods, added certain foods, and started taking supplements. When we received the results of my blood and saliva tests, we made additional adjustments – adding more foods, taking away others, and incorporating a natural hormone serum to help balance my progesterone and estrogen levels. In the first month of working with Sarah, I noticed my mood changed. Physically, I had less anxiety, pain and stress. After 2 months of working with Sarah, I got pregnant! I am the type of person who goes “all in” when I put my mind to something. I wanted to follow the program perfectly and I would get frustrated if I wasn’t able to do 110% of Sarah’s recommendations. Sarah helped me to treat myself with love and patience in the journey. She assured me that little changes would make a big difference and not to stress when I couldn’t eat perfectly or if I forgot to take my supplements. My experience with changing my nutritional lifestyle taught me to be loving to myself and not stress over the imperfections. Whatever you can do is great and will make a difference! I not only learned what foods to increase and decrease for my hormone health, but I also learned WHY those changes were necessary and what the reasoning was behind them. I feel like Sarah explained the science behind her recommendations well, which made it more impactful when making new lifestyle choices every day. 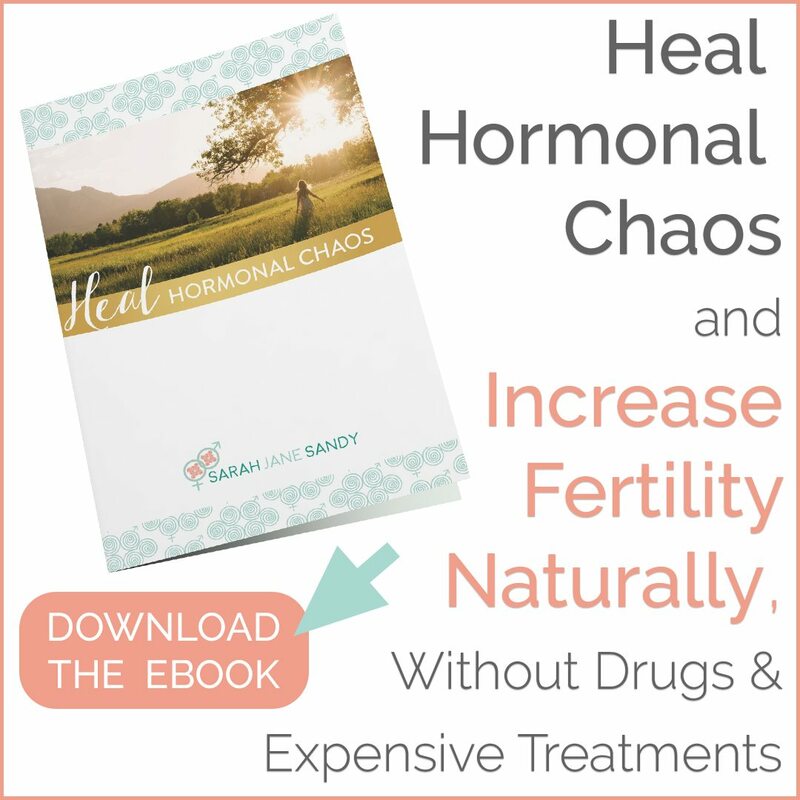 I’ve created a FREE video series to share my top natural remedies to heal the six most common hormone conditions that wreak havoc on your body AND your fertility. Get it HERE. 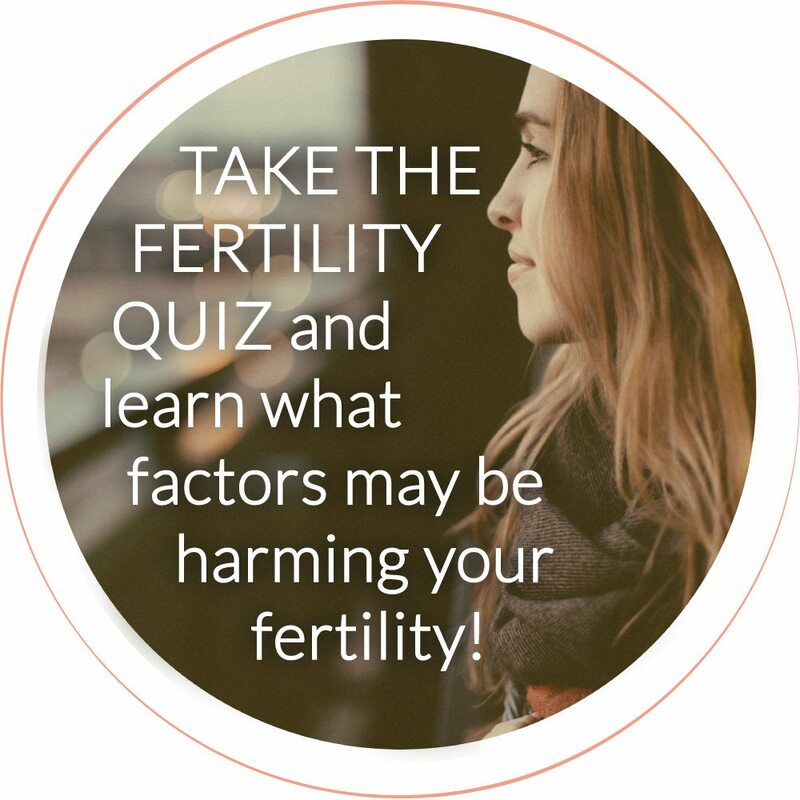 Looking to have a more in-depth conversation about how to improve your fertility health? Schedule a consultation with me!